I utilize a combo of soft tissue and trigger point release with cranial sacral therapy to unwind the physical tension in the body along with what is stored in the nervous system. This work provides relief for a wide range of physical issues from headaches to back and neck and hip pain. It also has a calming effect on anxiety and stress. Clients work with me for a few sessions at a time for specific issues as well as weekly or come in monthly for a "reset and restore" session. This type of bodywork is also effective for integrating all the changing/evolving dynamics that occur in our lives. As the saying goes "you cannot meet the same person twice". We are consciousness in a bodily form. 1. What is the difference between massage and bodywork? There's a crossover between the two, but simply put, massage is a series of strokes or a "signature" style, whereas bodywork is applying nuanced skills directly based on the client's presenting concern. 2. What is something I wouldn’t necessarily think you could help me with? Jaw tension is something I help a lot of people with. I work on the outside as well as put on gloves and work inside, accessing the tight muscles used for clenching that contribute to gum recession. Jaw tension also plays a part in headaches (including migraines) as well as neck and shoulder tension. 3. What is something you do that surprises people? I work with babies. I'm part of a collective that holds a monthly free clinic and we focus on seeing pre-crawlers and issues with eating, sleeping, movement, and digestion. 4. How do clients feel when you do “body reading”? Body reading is simply the practice of noting structural patterns in the body when the client is standing in gravity. Like anything else, if you read 1000 bodies, you're going to be able to see more than the first few times. That said, I try to at least explain what I see, so clients can benefit and not feel like I'm trying to know something about them that they may not be aware of. My greatest successes are when people expand their awareness of how good they can feel in their body. It's the home we live in, so it's important to be able to feel safe and comfortable just being in a body. Sounds simple, but it's not everyone's experience. 6. What do you do in your free time? I like to run along the ocean whenever possible. Also, swing dancing, traveling and reading at cafes in SF. My name is Igor, SF Walker and I am a Life Coach and an International Best Selling Author. My aim in life is peace, inspiration, health and wellness, harmony and abundance. Everything I do is driven by these thoughts. What made you decide to become a life coach? What is unique about SF Walker coaching experience? Re-connecting with my true self and my core, it was very clear that I always was and always will be a life coach and I simply realigned my path. It only took a 14 year old relationship ending, 16 year old healthcare career ending and a motorcycle crash to realign me, but this is why I am here now, so that other people do not have to go through what I went in order to discover true self and realign www.sfwalker.com/webinar-registration. Most unique part of the SF Walker coaching experience is the WALKING itself. It is a walking, listening and talking, for mind, body and soul coaching session. I do not have your answers, you however do and WE will discover them together. What I have is a never ending stream of caring, curious, "nothing is off limits" questions that will shift emotional states, provide different perspectives to be considered and most importantly guidance for you in finding your own answers. I am a grateful co-pilot and a co-creator in your own story, humbled to be invited into your space. What is your favorite part about being a coach? Learning and teaching. Raising awareness. Every single interaction I approach as being a student just as much as being a teacher. Being able to ask that right question that gives you your answer. Priceless. Do you have any advice for someone who is contemplating working with a life coach but is unsure of the benefits they’ll get? Understanding the difference between "I need a coach" and "I want to work with a coach." NO ONE needs coaching, I myself only work with my own mentors and coaches because I want to. I want to GROW and in doing so I want to CONTRIBUTE. I am the only one that can guarantee any benefits, as I am the only one taking the steps to get there. There is no question that new knowledge is gained, new understandings and new levels of awareness that all drive wanted change. In the end, it is all about habits and habits are programmed. I love saying to my clients, "Connect to knowledge, respect the teacher." The teacher is simply a vessel, and as the student is ready the teacher appears, regardless of the form. What is a success to you? Awareness and presence in the NOW. When you look back at your coaching history with clients, what are the common issues or goals that they raise? Why did you decide to write a children's book? What is this book about? 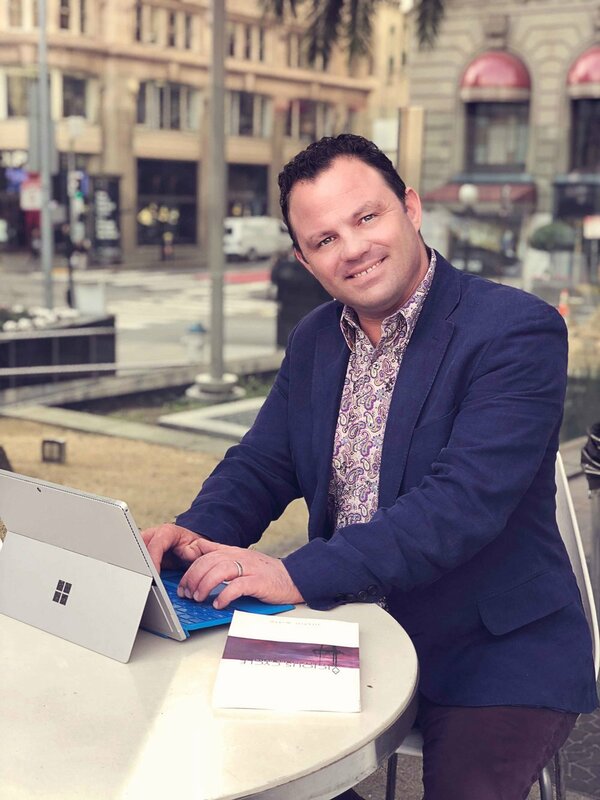 Justin Witte is a passionate writer who loves exploring new topics in an intellectual way that will apply to all readers. He loves to write about all our human conditions of ego, selfishness, and the solution: love. Time you wake up? I get up right about 7:30. I’m not that much of a morning person, and the really nice thing is, is that I live a block away from work, so I really don’t have to be. Morning Routine: I just sleep until the alarm goes off at 7, then I sit there for about a half hour just relaxing getting ready for my day. My best habit: My best habit is being aware of all the thoughts that are going through my head through the day. I have found that fore most of my life I had no idea who I was, and today I continue to explore my thoughts because the self is infinite. Worst habit: My worst habit is letting my irrational mind trick me and fool me into behavior that doesn’t help me or the people around me, for I believe I should be the best service towards others because to love others is the only true way to love yourself. Your personal philosophy: I am a philosophy major in college, and that has told me that, in the west, I am a Neoplatonist, and in the East, I am a Visishtadvitan. I have found this to be true for me, but I also believe that all belief systems are true. Books you are reading: I read a couple of books at the same time. Right now, I am reading Orpheus and the Roots of Platonism, Plotinus’ Enneads, Ramanuja’s Commentary on the Gita, and Greek thought and the Origins of the Scientific Spirit. What time do you go to sleep? I usually go to sleep around 1pm. Before I go to bed I stay engaged with politics because I find it interesting and I believe it is my duty as a citizen to stay involved. Also, before I go to bed I meditate for 45 minutes. I have always been more of a night person, and that is why I don’t do the mediation in the morning. What motivated you to be a life coach, and author? I am someone who has been through a lot. I have nine disorders, and I have been able to over come all of them. I was on SSDI for 15 years. Since then, I got one college degree in business, so I could make a living in accounting. I am going for another one in philosophy because I find the nature of truth fascinating. I am a pro-bono life coach because I want everyone to succeed. I have been able to overcome my disabilities mostly through my thinking. 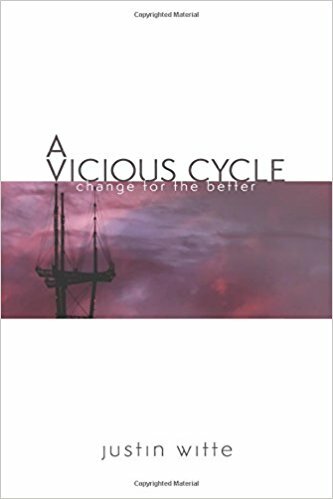 I am a writer and I wrote my first book, A Vicious Cycle A Change for the Better, when I could barely read because of my learning disabilities until 5 years ago. What my drive and motivation has shown me is that no matter what is happening in the world I only have one problem: myself. I believe that this world, and everything in it, is the way it is meant to be. I was an atheist for most of my life, but now I define God as everything I do not know, and I do not understand. This way I can learn from everything I go through. Learning is what all the Saints and philosophers, as well as Darwin, says that life is about. I will always have more to learn, and I will always have a drive to achieve something else, and the only thing that stands in my way is my irrational thinking. This is something that I help others explore and overcome. What has been your greatest professional success and your biggest setback? My greatest professional success is getting off of SSDI, and making above the median income in America. I learned how to read about 5 years ago because of all of my learning disabilities, and today I finished writing my first book called A Vicious Cycle. It has inspired me to write even more, and I am working on another one right now. I now have a passion to help others achieve the goals that they want in their life. My greatest set back is when my mind takes me into my old ways of thinking, and I get stalled or take backward steps in my life. I have a long way to go no matter what, and there are times I forget and get frustrated, but I refocus and get back on track. Hopefully that will always be the case. What do you love writing about the most? I have written A Vicious Cycle A change for the Better, and I am focused on writing another right now. I made the first one applicable to the average person, but this next one I have going to be submitting to the Ibn al-Arabi Society for publication. I am working on writing about ethics and the way we all live our lives. I love exploring the nature of truth, and trying to reveal it to others. I love contemplation, even in my free time, and with the mediation I do every night, it has shown me that all of this is with me and everyone else. Truths are universal to all of us. Do you have regrets about what you put yourself through and your behavior of the past? I don’t have any regrets or any resentments. I am the way I am because of two things that are beyond my control: genetics and circumstances. None of us can control that. This has been what has told me that I am meant to go through every experience that I have. I either learn from those experience and Change for the Better, or I suffer. Today I pray for a lower tolerance of pain, so I no longer have to make myself, and the people around me, suffer. As a pro-bono life coach who are the people you want to help the most? I feel like life is about helping others. I believe that my selfishness in my only problem, so want to help the people who are struggling in their life for purpose, self-esteem, struggling with mental illness, and the desire to move their lives in a better direction. For it has shown me if all you want is love, you can’t be selective to who you give it to. Morality is not just something that one practices in crisis, but is a principle they live their lives by. What can reader extract from your book? This book is meant to be entertaining, yet at the same time get people to reflect on God, what it means to love and be loved, the best way to live your life, and to show that the only person that has any choice in their life is themselves. Everything else in the world is the way it is meant to be; therefore, someone can accept anything they go through and be happy in any circumstance. I have always been a minimalist who enjoys organizing my surrounded environment to create balanced, functional and sophisticated space. I know that my lifestyle, neatness, and need for everything to be well organized played a strong role in my growing success as a headshot photographer. I met Kaylee at a Wealth Entrepreneurs Event and learned that she is a professional organizer and owner of CLOSETED. I was very interested to find out how she transformed her lifestyle into an exciting business. We live in a heavily consumerist era. It is so easy to become a slave of materialism, and to get trapped in the disorganization of everything that you didn’t need in first place. “I was interested in interior design because I loved the idea of curating an inviting environment for a family to come home to. But after being in dozens of beautiful homes and seeing inside their messy private areas it felt like a sham. How could an individual feel relaxed when their closet, home office or bathroom cupboards were in complete disarray?" Kaylee’s business philosophy resonates with my lifestyle and I can’t wait to share this interview so you can benefit from having less clutter and more room for creativity. I’m thankful that Kaylee found time to stop by my portrait studio for my Creative People in Business project and share her knowledge of organizing. Time you wake up: Between 5-6 A.M. Morning routine: Shower, make-up, cook breakfast while I empty the dishwasher, eat, brush teeth, style hair, get dressed. Best habit: Meal planning. I always recipe search, shop and cook ahead of time so when it comes time to make breakfast or pack lunch I always have options to choose from. I make healthy food choices and never skip a meal which allows me to stay on my A game. Worst habit: Worrying. On some level I know my clients appreciate that I worry about things so they don't have to but spending time worrying doesn't change an outcome. I know I'm capable of handling problems big and small so someday I'd like to evolve out of the worry-about-it step. Personal philosophy: Be kind, do the right thing. Being nice to people is free AND easy. People who choose to have a bad attitude waste a lot of time and energy and that is not a way that I want to spend those precious resources. I find that I can diffuse difficult situations with a vendor or installer by staying calm, respectful and friendly. Book you are reading now: I just started The Hundred Secret Senses by Amy Tan. I like to switch between novels and informative literature rooted in subjects like organizing, nutrition and personal growth. Most used apps: I am not a big app downloader but I use Uber and Lyft a fair amount as well as Pandora and Whole Foods. What you do before going to bed: Wash my face, brush my teeth and pack any items I will use the next day at work. Time you go to sleep: 10 P.M.
How and why did you decide to pursue a career as a professional organizer? My degree is in interior design and I was working for a designer (turned friend/mentor) who handed me my first organizing job because he noticed I was good at it. I organized as a side job for several years and then my husband pushed me to make it a full time business. From your experience, what areas of people’s homes most need help with decluttering? It's really different for every home but I like to start with smaller areas because usually once a client sees how much we can accomplish together they feel excited about moving on to larger areas. Whether it’s donating, gifting, or trashing, how do you help your client let go of their clutter? Some clients are extremely mentally ready to purge their homes, they just need a little hand holding and someone to validate that their instincts are correct, for these people my advice is to trust yourself. Others need to really talk through each item, with these clients I ask them a lot of questions about why they feel the need to hold onto specific items or an excessive amount of stuff in general. I never make anyone give anything up but I will make strong suggestions. If we are sorting a lot of sentimental items I ask clients to share their memories with me, sometimes re-living a memory about an object is enough to make you feel ready to set it free. My clients see that I am passionate about what I do so they learn to trust that I have their best interested at heart. What is your advice for shopping while avoiding becoming trapped in a heavily consumerist society? We are already trapped in a heavily consumerist society. I try to remind people that shopping is fun but it becomes not fun when you have no where to put the things you buy and/or you can't find things you know you purchased. That's a sure sign you have a problem. I think being more aware of what you are buying (online and in stores) is part of the process, the other part is to always be thinking of what you don't need anymore. I have a "donation box" in all of my clients homes, as soon as you realize you don't need something you throw it in the donation box, when the donation box is full you seal it up, put it in your car and take it to be donated, then you start another donation box. In a shared environment, how do you compromise and maximize space for roommates or a whole family? I try to use wall space as much as possible to get things off the floor and I also like using furniture that can double as storage. Very often, highly organized people marry partners who are okay living in an overwhelming mess. How would you approach the conversation about decluttering and inspire a “messy” person to see the benefits of being organized? Sometimes couples use me as a wedge, they want me to help gang up on their spouse and shame them into an organized lifestyle, I don't go in for that type of thing. Itry to develop a bond with each family member and that means asking everyone about their goals for the space. Knowing that I have multiple interests at heart makes clients more amenable to hearing my ideas and doing the work to clear their space and make room for a plan that encompasses everyone's goals. What storage solution is “a must” to stay organized in the long run? Files are a non-negotiable. If you are an adult person you need a way to manage your paperwork (I created my personal filing system at age 11.) Some of my clients run a business out of their residence, they are probably going to need a tall file cabinet or a chest of drawers dedicated to files. For clients like home makers I can get away with smaller solutions but when you consider the paperwork you need to run a house (insurance, taxes, each family member's medical/school records just to start) it adds up fast and if you want an organized home you need a system for paperwork. The other thing I do for almost every client is to organize their bathroom products in clear plastic shoe boxes. I sort like items then I label each box so when you cut yourself all you have to do is grab the first aid box and your band aids will be right there or if you are going on a trip then you pull the box that says travel toiletries and anything you may need is at your fingertips. What is your best advice for overworked business people trying to stay organized? Hire me! Organizing is not a magic bullet, it's work and at some point something's got to give and if you spend so much time working that you have very little time for organization then it might be time to admit to yourself that organizing is not your favorite thing and it's worth it to you to hire someone to help. For my clients that go through the initial organization process and still have trouble taking time to stay organized I offer "touch-up" sessions which usually happen quarterly. I know you love to organize, but I am sure you feel overwhelmed after a work day decluttering for your clients. How do you recharge? I love to cook. If I feel too tired to cook an entire meal then I just prep my next meal and when I go to make it the next day my job is much easier. If I am feeling very overwhelmed I will organize something small like the fridge or my desk. That small achievement helps me clear my head and prepare myself for the bigger achievements that await me in the near future. What daily habits allow you to stay organized? Always unpack as soon as you get home. If it's your gym bag, purse, groceries, the clothes you bought online and received at work, unpack everything right away. If you spend a little time picking up after yourself daily you save a lot of time in the long run because you have less picking up to do and you don't spend time trying to find things you failed to put away. I was introduced to Daniel at the Grand Opening of Dr. Chow’s Surgical Clinic in San Francisco. He kindly showed me around and explained the architectural details and the challenges involved in this project. I have always been interested in architecture and interior design, so I found the conversations very exciting. Daniel’s open minded and easygoing personality allowed us to become friends. I have visited a few more grand openings of his projects and feel very proud of his hard work. I would like to introduce Daniel to you and share an interview for the Creative People in Business Project. Morning routine: My alarm is set to classical music so that I can wake in a peaceful mood. I shower, eat breakfast, and comb NYT, WAPO, Politico, and the Guardian to see what is happening around the world. Worst habit: Drinking a lot of beer at my weekly softball game. Personal philosophy: Live each day to the fullest and do to others as would have them do to you. What you do before going to bed: Brush my teeth, floss, pray, and try to count my blessings. Time you go to sleep: Usually 11:00 pm but sometimes later. How and why did you decide to pursue an architecture career? I was one of those kids that knew I wanted to be an architect since I was seven years old. I used to draw house floor plans and elevations for my sister’s girlfriends that I had crushes on. At the age of 10 my family briefly moved to Illinois. I recall going on a tour of the John Deere headquarters designed by Eero Saarinen and being in awe of the building. I didn’t know anything about Saarinen at the time but I recall thinking about how beautiful the building and the landscaping was. On television shows that I watched as a kid Mike Brady of the Brady Bunch and Elyse Keaton in Family Ties were architects. The architecture storylines on these shows weren’t particularly inspiring but it made me think this is a profession I could really pursue. I took a drafting class in high school and then applied to the architecture program at Arizona State University. What are the biggest challenges in the architecture profession and how did you overcome them? The path to becoming an architect is a very long road. There are the educational requirements; I spent five years at Arizona State University earning an undergraduate degree and another two years at Berkeley earning a Master’s degree. Three years of apprenticing under a licensed architect are required before you can begin to take the licensing exams to become a registered architect. At the time I took the exams there were nine exams plus an oral exam here in California. I passed five of the nine exams in my first sitting but it took me a number of years to complete the remaining exams. I have been a registered architect for sixteen years. Along the way, there have been personal challenges like physics or structures classes I found difficult or taking exams three times to pass. I overcame these challenges by learning from my mistakes and failures. My undergraduate physics classes at ASU had 500 students. I decided to look for class sections that were smaller in size and where more individual attention was available. I took calculus classes as a summer class at a community college in Idaho with twenty-five students and got straight “A’s”. For exams that I was having difficulty with I took seminars or looked for tutors to learn the material. I learned that if at first, you don’t succeed look for ways in which you can succeed. In your opinion, what does it takes to become a successful architect? Architecture is called a noble profession but it takes more than passion to succeed. Education is certainly an important aspect of learning to become an architect but schools do not teach everything that is necessary to become a qualified professional. Many architectural programs are heavily design-oriented. Design is important but there are so many other aspects of the profession that are important for preparation to practice. Some schools are more well versed in providing more well-rounded learning. Learning about building codes, construction law, marketing, contacts, business, and communication are also important, especially for someone considering being a sole-practitioner. Some of these skills can be acquired in the workplace and this is where it becomes important for an individual to determine the best workplace for themselves. This is certainly where mentorship becomes important. The profession has a long history of apprenticeship and this is where individuals can become successful by finding good mentors. When I completed my undergraduate degree I moved to New York City. I decided that I would work for three years before continuing with a Master’s degree. I worked for small firms, medium-sized firms, and for a large corporate firm. I decided that for me I liked working for a small and medium-size firm because it allowed me to wear more hats. Ultimately this is what gave me the confidence to start my own business. The work hours are long in the architectural profession so having a personality that enjoys doing what you do is useful. It is also useful to have a personality that can strike a balance in professional and personal life. As with anything in life, a little bit of good luck never hurts. I consider myself lucky for finding a profession I enjoy. What motivates you and keeps you to stay active running a business? I love learning and this is my overarching motivation for running a business. I didn’t know everything I needed to know to run a business when I first started so a dose of naiveté was also useful. Every year I have learnedand continue to learn about something new. Whether it is marketing, bookkeeping, invoicing, or employee management there is always something new to learn. I don’t necessarily enjoy every aspect of running a business but this is where you can hire someone that is equipped and enjoys doing those tasks. Being a member of the American Institute of Architects requires that continuing education units are fulfilled on a yearly basis. This is an opportunity to continue to learn about emerging technologies, best practices, materials, etc. The profession of architecture continues to evolve so as a business owner I need to continue learning. What habits do you need to create to be able to deal with high stress? Architecture is about solving design problems from a multi-faceted approach. I have adopted this idea of problem-solving to life in general. I analyze what is causing the problem or stress and then determine what are plausible solutions for resolving the problem or mitigating the stress. I have found physical exercise extremely useful in dealing with stress. I find working out at the gym as therapeutic and while it may not directly resolve stress, it helps me to better cope with a stressful situation. Risk taking to improve your career: any secrets you would like to share on how to deal with fear and insecurities taking risks? I survived the biggest recession since the great depression as a sole-practitioner and I give myself a pat on the back for that. My office has been in operation for nearly eleven years. When I started my office I had a thought that if I had to go back and work for someone after running my own ship that I would make a better employee. Being a sole-practitioner has given me better insight in the risks businesses take to stay in business. I find the problem-solving approach I mentioned earlier in dealing with fear and insecurities in taking a risk. In think the best approach in dealing with fear and insecurities is to take them head on. Talk about your mentor, current or past, and how they affected your life? My father is one of my first mentors. He began immigrating to this country when he was eighteen years old without knowing a word of English. He taught me through his words and actions that if you put your mind to something you can and will succeed. Throughout my education and in the work place I have had mentors that have guided me along the way. Architecture has a strong history of mentorship in the profession. I have had many mentors and continue to seek mentors in my life and to also be a mentor. 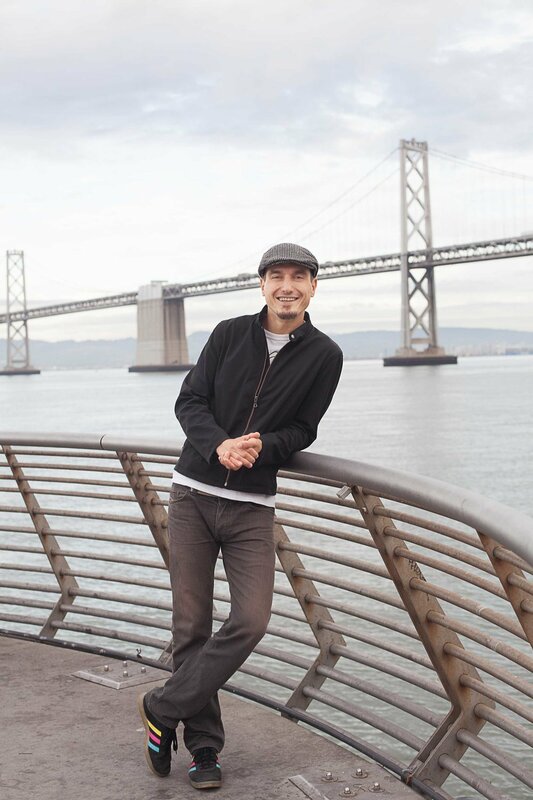 I am a committee member for the AIA SF Mentorship program and was co-chair of the committee for two years. This program groups 5-7 professionals at all stages of their careers to meet over the course of a year for dialogue and professional exchange. How do you balance your personal life and career? This is a daily challenge and admittedly I have been better at it sometimes and not so good at it at other times. This is where I have to remind myself to live each day to its fullest. It is a work in progress and I have to say this year I am having better success in striking that balance. Your way to “recharge” after a busy work week? I go for a swim on Friday evening or Saturday afternoon. I also enjoy hanging out with friends and getting some form of exercise. What advice would you give for those who want to pursue a career in architecture? I was recently asked this question by the parents of a young man while I was on vacation on the Galapagos Islands. His parents were concerned about his ability to support himself financially as an architect. I told him that architecture is not one of the highest paying professions but if he really loved architecture, had a passion for it, and liked working really had then he should pursue it. I also advised him to make good friends with people studying business, law, and computer science. These folks will be his future clients. It is an oldie but a goody. If at first you don’t succeed then try, try again. My name is Italina, and I’m an Online Presence Expert & Speaker. My team and I specialize in helping the Real Estate Community’s Top Realtors and Lenders upgrade their presence online via Social Media & Email Newsletters. What time you get up: I applaud people who get up at 4 and 5 in the morning. I’m just not one of those people…yet. I’m a young woman, I play tennis competitively and work out on a regular basis. Plus I enjoy my social life. So I maintain a regular sleeping schedule of 10:30pm - 6am. All my life, I described myself as not being a morning person. Today, I am a morning person. When my eyes open with the realization that it’s morning, I’m excited at what the day has instore for me. Morning Routine: I immediately hop out of bed excited to get started. My 1st stop is the kitchen where I drink a full glass of water with apple cider vinegar. Then I’m off to enjoy an outdoor run. My morning ritual also includes affirmations, meditation, visualization, reading, and journaling. In getting these things done before I hit the shower and start my work day, I already feel accomplished, empowered, centered and grounded. I basically feel like Super Woman, lol. Best Habit: Mastering My Calendar is my best habit. I schedule things in my calendar, and I live by that schedule. I do not let seemingly pressing things interfere with that schedule. For example, every Monday and Wednesday morning, 1 or 2 hours is blocked out for making prospecting calls. Nothing interferes with that, and I schedule everything else around that blocked out time. Mastering my calendar is my best habit because this prevents me from having a hectic schedule, it prevents me from being stressed (which affects every other area of my life), and it prevents me from needing to cancel or accidentally forget meetings with others. Worst Habit: My worst habit is eating and drinking a little heavy at night, lol. I have a fun social life. Philosophy: My philosophy is to create your own rich life. I also believe that in order to do that, we must affect others. Affect others and create your own rich life. But what do I know, lol? Your story, why did you leave corporate world? Like a lot of people, I started off on the corporate path. I thought I wanted to be an Attorney, but you don’t really know what something is like until you actually try it. During law school I had great internships working with Attorneys and Judges. But the truth is, I didn’t love it. I thought I should just push through, give it a fair shot, in hopes it would grow on me. Then I got sick, literally. One day I was in the office by myself, I put my hand on the edge of the desk, and I bent over in excruciating pain. I clutched my stomach, the source of the pain. I had an ulcer that continued to flare up with each week I tried to give this job a fair shot. That day in the office all by myself, I decided I’d pursue another path. Not wanting to be stuck with debt and no degree, I stayed in school, completed my degree, and then taught law long enough to pay off my law school loan. Being a law professor, teaching classes, captivating students (I had no disciplinary issues in my classroom) groomed me for being a public speaker now. I also worked in a tax firm in their Marketing Department. That’s where I got a lot of hands on experience creating compelling marketing campaigns. When it became clear to me that online marketing was an essential addition to other forms of marketing, I decided to go out on my own focusing on Online Branding & Marketing. Now with my law degree, Juris Doctorate (J.D. ), and marketing experience, I get to work with fun people, helping them create and promote their brand online, providing them more visibility on sites like Google, LinkedIn, Facebook, and Yelp. And I haven’t been sick since. My passion is creating brands from scratch. The journey of helping an individual discover and hone in on their brand has been a delightfully creative and inspiring process with the individuals I’ve had the fortune of working with. Once it’s time to promote their brand online, I’m just ecstatic. I love Branding, Search Engine Optimization (SEO), and Marketing your brand. When I first started this company, I thought I would just be making a living and living my life under the radar. Then I started getting calls, emails, and facebook messages from people saying how I’ve inspired them to leave a job they hated but felt they needed to keep for all kinds of reasons- this is what my family expects of me, this is what I went to school for, I need to finish what I started etc. That’s when I realized this business isn’t about me. I was inspired to create a Mission Statement- To Inspire others to become aware of and act on their ability to accomplish. The work I do with Realtors, Lenders and other Business Owners inspires other professionals to take a step beyond what they thought they were capable of. I’m showing audiences that they really can create the life they truly want for themselves. Create your life by design, not by default. As a Public Speaker giving over 40 talks per year, I blend this message in with the ‘Leverage LinkedIn for Leads’ and ‘Facebook for Business’ talks I give. Through my business and the way I live my life, I convey this message. The problem today is most professionals are on LinkedIn, but don’t know how to use it for Business. Business owners should be using LinkedIn to Promote and Market their services, versus merely accepting Connection Requests and Endorsements from people you don’t even know. Here is a quick VIDEO giving you 3 Powerful Tips for networking with professionals who have the Power and the Connections to help you come in contact with the opportunities you're looking for. Profiles - Most people just slapped a profile onto LinkedIn. We’ll recreate your profile so it clearly conveys the services you offer, what set’s you apart from your competitors, and ensure it’s Search Engine Optimized (SEO) so you show up higher on Google. Posts - For those who don’t have the time, desire, or know how, my team and I create customized posts/content just for you that no other person will have and post for you each week on your social media sites. Email Newsletters - my team and I create customized content for your email newsletter and send it out for you either monthly or quarterly. If you don’t have an email newsletter set up, we’ll set you up and even help you organize your database. Coaching - If you enjoy doing these things yourself or if you have an assistant that you want to have trained in best practices in these 3 areas, Profiles, Posts, or Email Newsletters, you can take advantage of Coaching Calls with me directly to better your Online Presence and increase your social media skills. I am a professional portrait photographer who specializes in headshot photography. My career choice was motivated by the opportunity to meet people, build friendships, and have flexible working hours. My goal was to be present with my family and friends when they needed me. Is it easy to build a career in headshot photography? No, but I love it every aspect of it on a creative, social and business level. My work gives me joy every day and I am feel rewarded each time my photography brings my clients the success and respect they deserve. Time I wake up: 7 A.M. Morning routine: My morning starts with small meditation on gratitude. Then, I shower, make coffee, and prepare my breakfast. I make sure to take both my vitamins and supplements. While I drink coffee, I write some ideas and thoughts in my journal. Once I check my daily agenda, my work begins. Best habit: I run two to three times a week. Worst habit: Very often, I catch myself multitasking instead of limiting myself to a single assignment. Philosophy: Don’t compare yourself and your life to others; be thankful for who you are and what you have. Book I am reading now: I tend to read two or four books at the same time . Currently, I am completely occupied with Feel the Fear and Do it Anyway by Susan Jeffers. What I do before going to bed: Read a book. What time I go to sleep: Around 11 P.M.
I’ve been attracted to the study of success, confidence and positive habits since I was 16 years old. I did not have positive role models in my home environment, so I started to look outside my comfort zone. I was in search of a “different life” that did not resemble my family’s patterns. I decided that success meant constantly improving the quality of my life regardless of my financial, social, or relationship status. Life really feels empowering when you stop comparing yourself, your skills, and your status to other people. As a portrait photographer and creative individual, it took me time to develop my own brand, style, and professional values. I now believe every day is an investment in your health, happiness, and friendships. A dedication to your goals and habits brings rewards to your career. We are humans, and all aspects of our life are interconnected: my headshot photography business is not exception to that rule. I have noticed how my personal challenges affects my state of mind and distracts me. I am aware that overbooking photoshoots will impact my friendships. There will be always sacrifices, but self-compassion and smart prioritization allows you to return to balance and move forward. I am very excited to introduce my project, “Creative People in Business,” and share interviews of successful professionals and their journeys. Please enjoy!